Call (317) 513-5941 today for classes! Classes forming now. Enroll today! 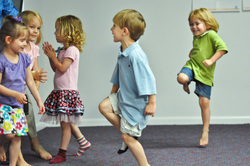 Want to Check out Kindermusik of Indianapolis? Join us for an Introductory Class! Kindermusik of Indianapolis is a licensed Kindermusik provider that's served South Indy for 20 years. We're pleased to offer premier music classes at two different locations, including near Northside of Indianapolis as well as Franklin, IN. Come check us out!